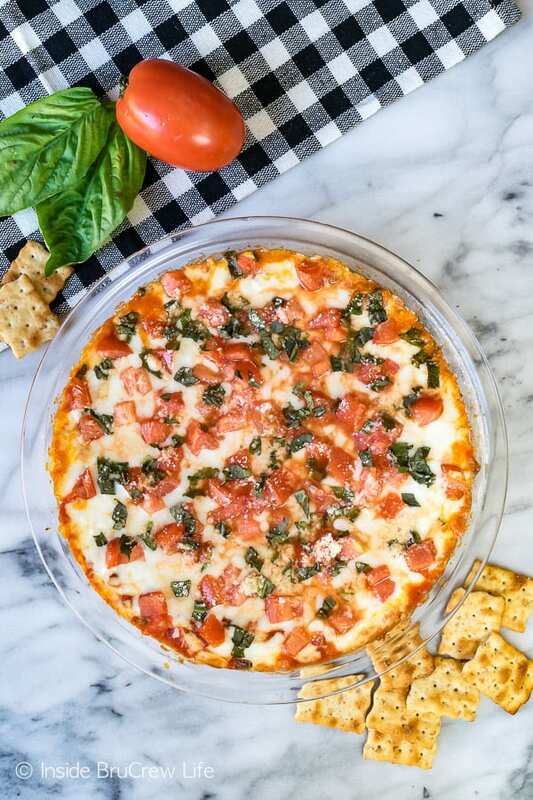 A pan of this gooey Tomato Basil Pizza Dip and a box of crackers makes a great after school or game day snack. This is one appetizer that won’t last long at parties. The down fall of being a dessert blogger means there is always sugary goodness lurking somewhere in our house. One of our house rules from last year was that our kids could only have fruits or vegetables as an after school snack. If I’m not careful they head right to the cookies and cakes that are always on our counters and in the fridge. Because they all have inherited their mama’s sweet tooth we have had to institute that same rule again this year. Now occasionally I give a little and let them have Cinnamon Caramel Cookies or Homemade Chocolate Chip Brownies before dinner if I have been baking that day. Those are the days I am actually looking for my “best mom” award. But seriously, we want our kids to know the importance of eating healthy foods. Cookies here and there are ok, as long as it is in moderation. Our family is very active. 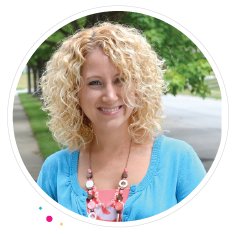 The kids are all involved in sports, and my husband and I enjoy working out or going for a jog because it makes us feel better. We want our kids will see the relationship between eating healthy real foods and getting enough exercise. If they develop these habits now, it will be easier for them to maintain them as they get older. 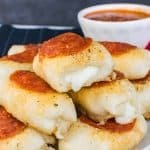 I have been trying to come up with a few after school options that my kids will love, but that incorporates the fresh ingredients that we want them to be getting. Pizza happens to be a huge favorite around here, but obviously that is more of a full meal and not a snack. 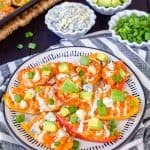 I wanted a filling snack with healthy ingredients that wouldn’t fill them completely because dinner is usually within an hour or two of them getting home. I feel good knowing our kids are getting some veggies and also some dairy from the cheese. Plus, since it’s pizza I know that all three will eat it without any complaining. Sure enough, this dip and crackers disappeared within an hour of everyone getting home from school. 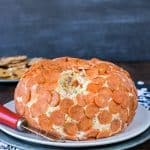 I’m pretty sure this cheesy pizza dip and this Pepperoni Alfredo Pizza Dip are ones that our kids won’t mind enjoying all year long. Mix together the can of tomato sauce, garlic, a little basil, sugar, and salt and pepper. Yes, I added a little sugar to tone down and sweeten the acidity. You can totally leave it out if you like. 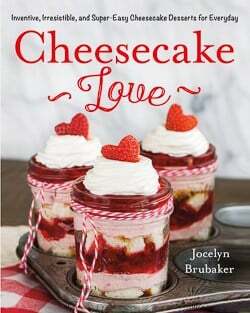 Spread the softened cream cheese in the bottom of a 9-inch pie plate. Pour the tomato sauce on top. Sprinkle with mozzarella cheese, Parmesan cheese, and some fresh basil. Bake until hot and gooey! 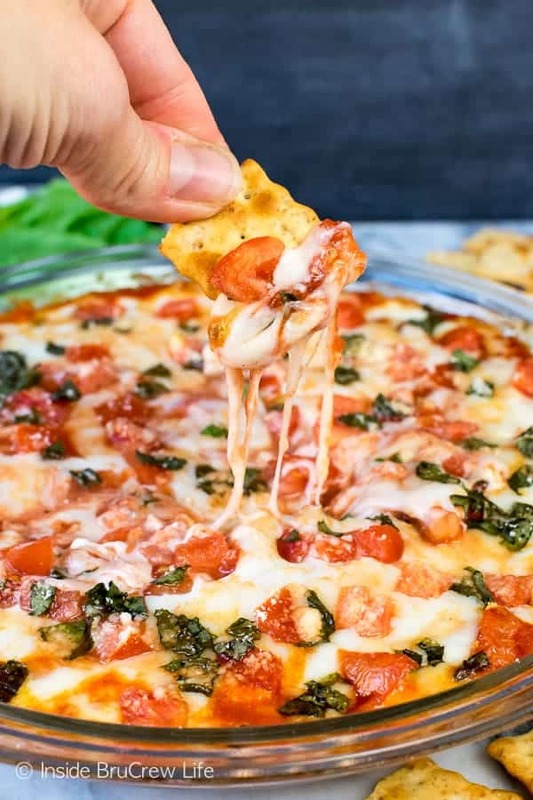 What do you eat this easy pizza dip with? 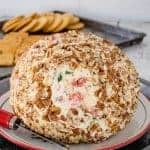 This easy Chicken Fajita Queso Dip is the ultimate party dip! 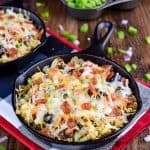 Cheesy goodness loaded with lots of chicken fajita flavor will have all your party guests asking for the recipe. Grab a box of crackers or a bag of celery and get ready to dig into this Easy Buffalo Chicken Dip. Chunks of chicken in a creamy, cheesy dip will have everyone going back for more. A pan of this Bacon Cheeseburger Dip from Dinners, Dishes, and Desserts would disappear so quickly here. 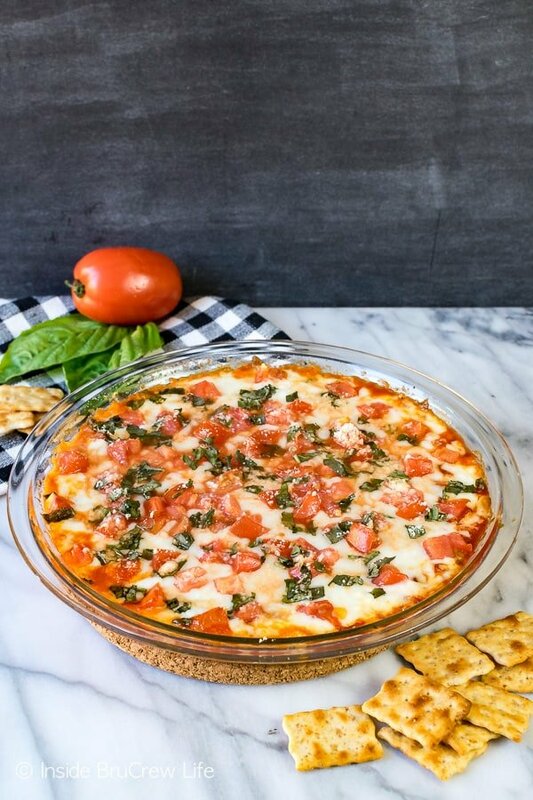 A pan of this gooey Tomato Basil Pizza Dip and a box of crackers is a great after school or game day snack. This is one appetizer that won't last long at parties. Preheat the oven to 350 degrees. 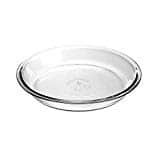 Spray a 9 inch glass pie plate with nonstick spray. Stir together the tomato sauce, garlic, 1 Tablespoon basil, sugar, and salt & pepper. Spread the cream cheese in the bottom of the prepared pie plate. Pour the sauce on top. 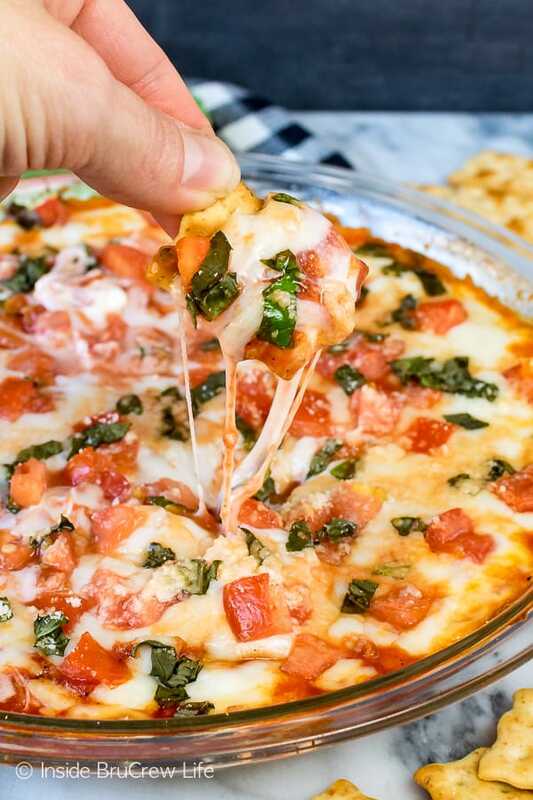 Top the sauce with the mozzarella cheese, tomatoes, 1 Tablespoon basil, and Parmesan cheese. Bake for 20 minutes. Serve immediately with crackers or chips. 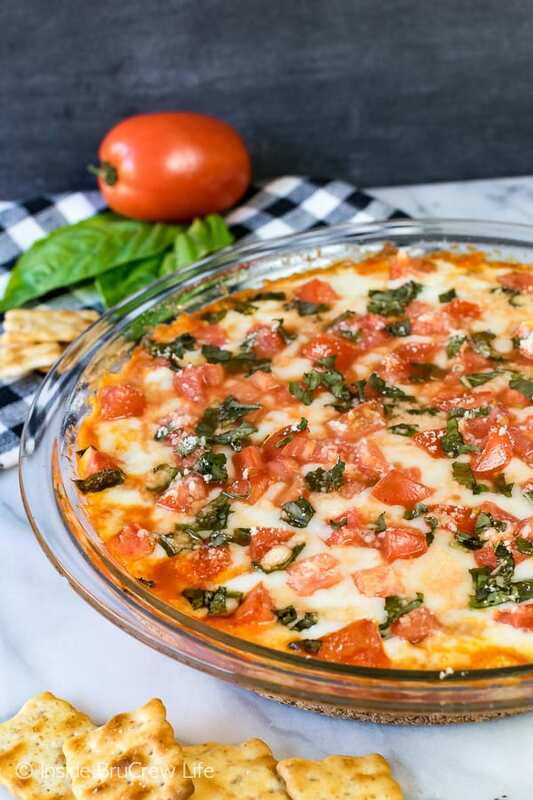 *The post and recipe for this Tomato Basil Pizza Dip was originally published on August 7, 2013. The photos have been updated and it has been republished on February 1, 2019. I have 6 years of eating this dip to catch up on lol. Thank you for posting it again! Would this dip hold up if made in a crockpot? 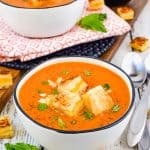 I have never tried making this one in a crock pot, but I think it would work just fine. Keep me posted on how you like it.